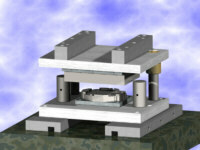 The trim die is a tool that trims the runner, overflows, and flash from the casting. The trim dies are single or multiple cavity tools, made in the same configuration as the die casting die. They can be used when the gates are very strong and difficult to remove manually, or when the gates are located near the center of the part, which could lead to damage to the part if you were to break the gates off manually. 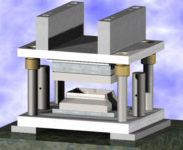 Depending on the shape of the casting, the trim die may be a simple open-and-close trim die or it may include as many slides as the die casting tool. 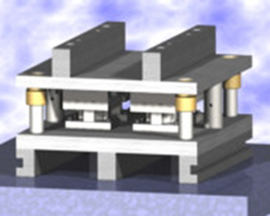 In some cases multiple station trim dies will be used for successive trimming operations. For this reason, some trim dies require as much attention to detail in design as in die casting tools. The use of quality materials should be specified in order to extend their productive life as well to avoid replacement costs. 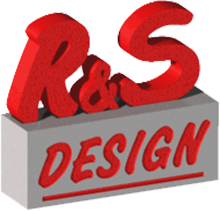 R&S Design has the capability to design finishing trim dies – the perfect way to complete your die casting design package. Our extensive experience in the die finishing process means you can rest easy knowing that we will follow all proper procedures in the finishing trim of your project and will recognize and address any imperfections. For more information, or to find out how we can help you with your next Trim Die Design project, please contact us.